The Toy Shop is a little friendly independent toy shop on the seafront in Helensburgh. We welcome our 4 legged friends, but on the rare occasion that one of our little customers is not a doggy person we would kindly ask the dog to step outside for a minute to allow us to serve our little person without them worrying. Many thanks and look forward to seeing you. Sugar Boat: a contemporary local bistro, bar and wine shop. 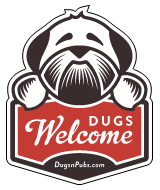 Located at 30 Colquhoun Square in the heart of Helensburgh, we’re open from 9 o’clock each morning through until late at night and happily welcome four-pawed pals along with their human companions too. From morning coffees, light weekend brunches, afternoon cream teas and inspired, seasonal à la carte bistro menus to our courtyard terrace which adds an al fresco touch to proceedings, we look forward to welcoming you. There are a total of 3 dog friendly listings in the Argyll Shops category. Please log in, or sign up as a member to view all listings.